The fuel line on my '69 Z/28 was cut at some point likely to install an electric fuel pump. A very generous CRG member provided me a survivor fuel line from a 2C Van Nuys car with 52K miles that I plan to use as a replacement. 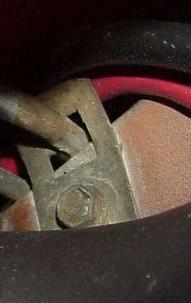 I have an orginal fuel line clip that bolts to the frame rail beside the fuel tank (see photo) however I'm trying to confirm the correct attaching bolt details. I likely have one however I need to ensure its the correct one. If anyone has one handy I'd appreciate if you would post a photo and details regarding the size, head markings and washer configuration, thanks. 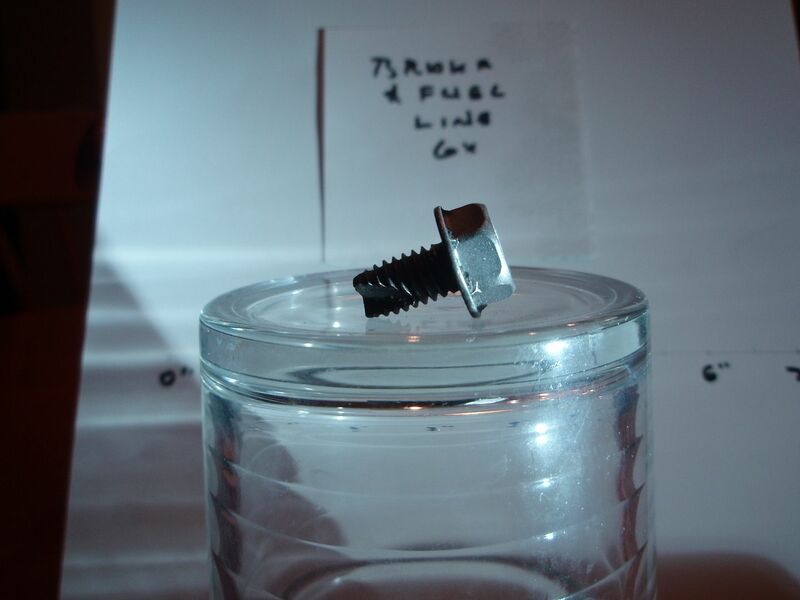 The bolt that holds the fuel line bracket near the tank on my car is a dark phosphate 5/16"-18 X 1.0" pointed bolt with a 3/4" conical washer attached. 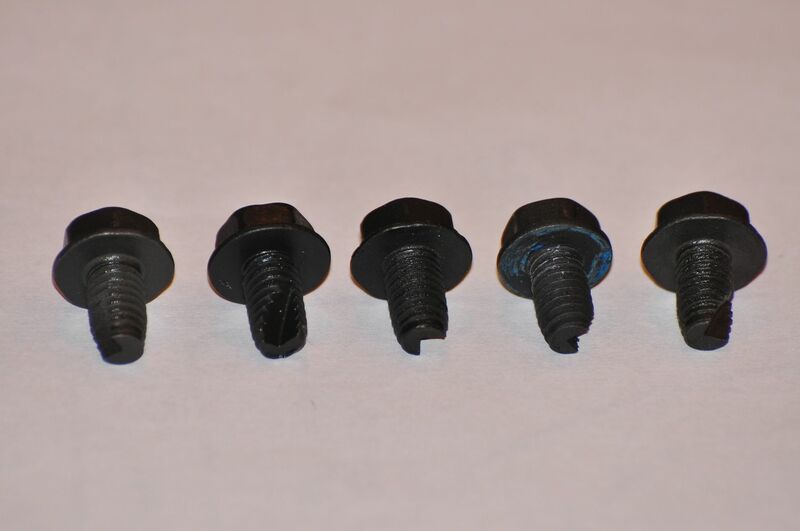 The head marking is an Anchor over T. AMK offers the same bolt, only 1/8 inch shorter, part # B-10900. Their price is $4.00 for 2. Hope this helps. Although the donor fuel line is from a 2C Van Nuys built car, my car is a 4C Norwood build. How does the Nor bolt differ? What is unique about that particular fuel line clip bolt? 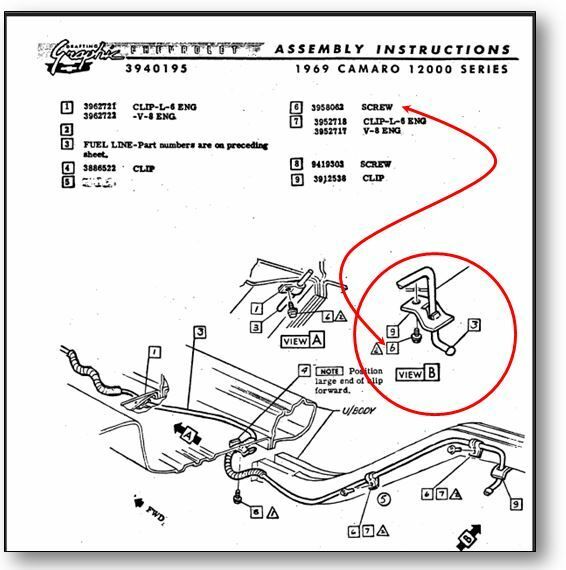 Per the AIM (ref UPC 8m page 125), it's just a standard 3958062 screw - same as all the other fuel and brake line srews - over 20 were used for brake and fuel line clips. Here's the screw styles that are on my car - '69 Z, 04B, Van Nuys built. Note - I'm sure various suppliers were used for this relatively common screw, as was the case on my car as some head markings differed, though they are of course the same size. Those pictures I posted are of my original bolt from my 11D (68) Norwood RS/SS convertible. I purchased the car unmolested from the original owner in 1974. The bolt may not be "normal" in some opinions, but it is the one the car was born with for sure. Just checked through the various bagged bolts I removed from my Z. 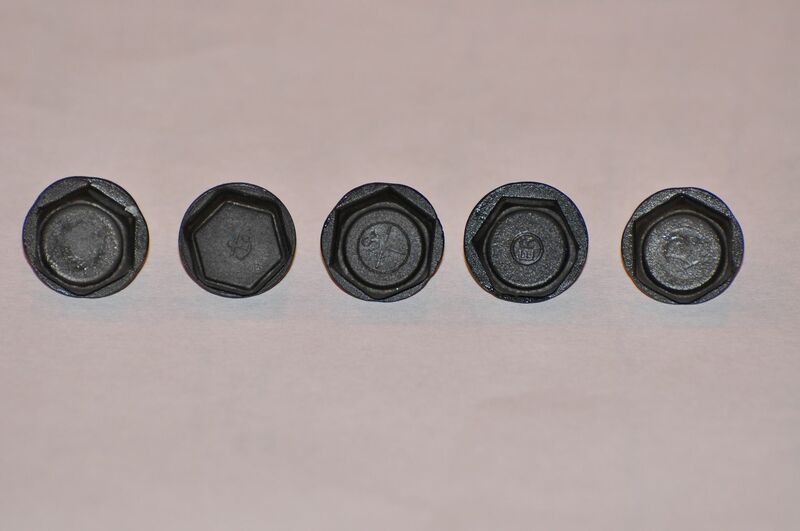 Regarding the 3958062 screw - here's the head mark variations I noted. All are same dimensions, just different head markings reflective of different suppliers. It's my experience with Camaros and Corvettes that the fasteners that TYPICALLY hold brake lines or fuel lines to the frame are the blunt style with no washers and a finer thread pattern than the pointed fasteners with washers that I typically find on the body. 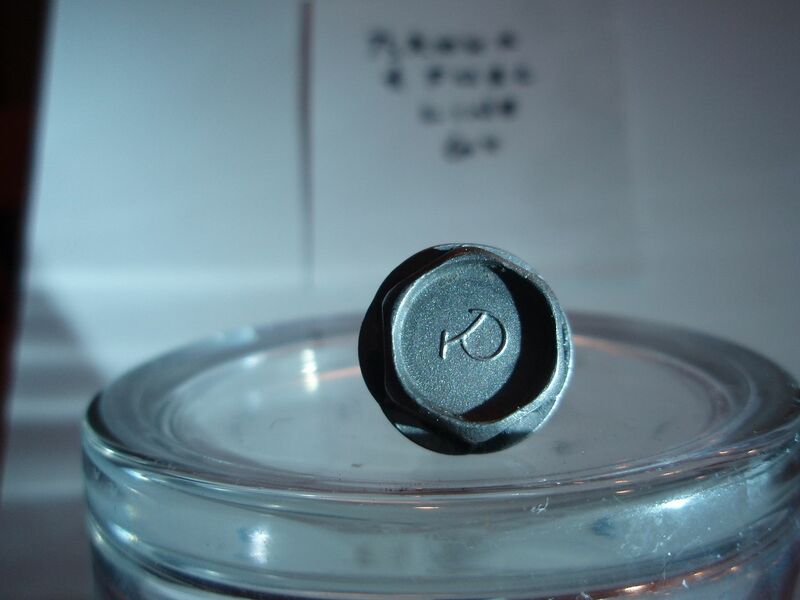 The fastener that Boston 14 posted looks more like a body panel fastener to me. I suggest you go to the AIM look up the part number and then go to the AMK website. Once there go to the PDF catalog. Once there the last selection at the bottom of the page is the glossary. Click on that and scroll down until you find the part number. Beside that part number is a page in the catalog. 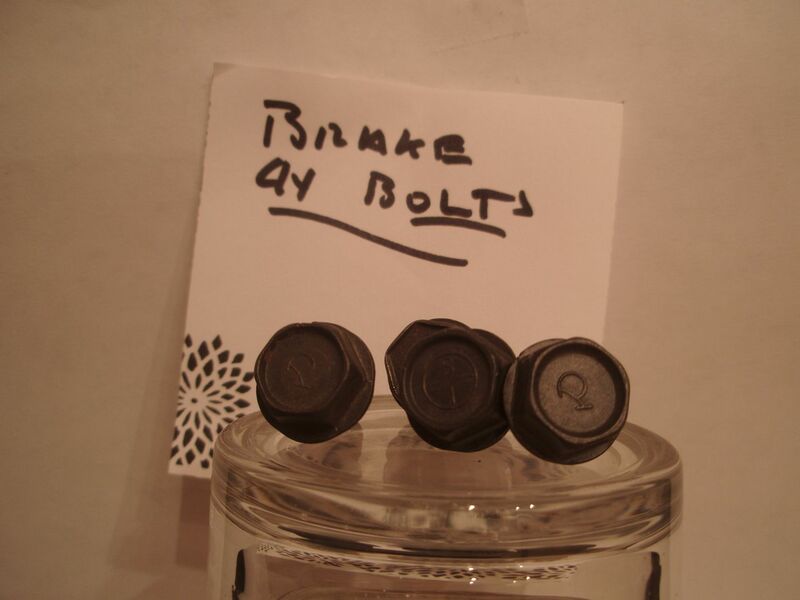 Go to that page and it will give you the details of the fastener including a picture and head mark details. This is not 100% correct all the time but I have found it to be helpful. Opinions are just that. 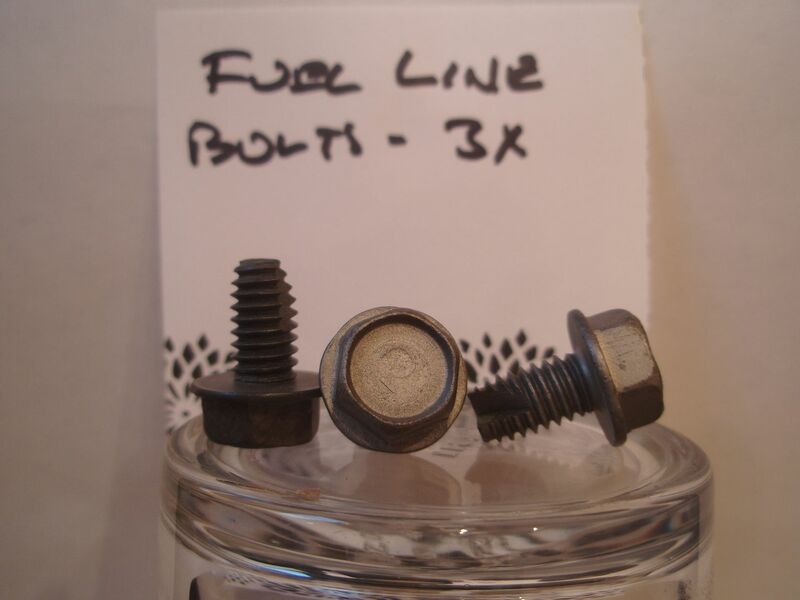 All I can say is that whatever type of bolt it is in your opinion, Norwood put it there during the build of my car. Thanks to those CRG members who posted (especially with photos) in response to my question. It is clear there were a few different fasteners used on the fuel line bracket. Your input was very helpful. 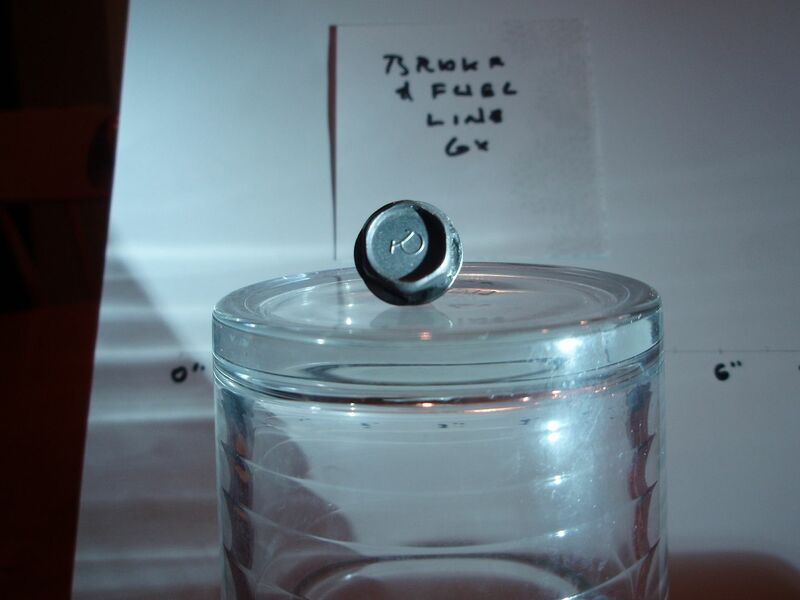 The AIM calls out the standard fuel/brake line screw (PN 3958062), which I posted previously. I checked to see if Z28 or L78s or L48 used something different, but the AIM did not indicate that. So a variation may have occured with Boston's or BillOhio's car at the NOR plant. I did scour all the bolts/screws I have tagged/bagged just to make sure, but could not find a screw/bolt like the one on Boston or Bill's cars, other than for the RS inner fender support that had the anchor and T. So for what it's worth, pretty sure my car did not come with that style.